Description: East Stockton 1/2 Acre! Improvements include 36x22 pole barn, 420 sq ft house, 2 storage out-buildings, 56 ft mobile home and 30 ft trailer. All of the structures and buildings are in very poor condition and are not built to code. 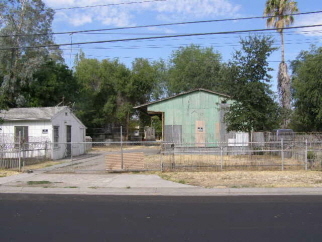 This property has potential for residential development.